There is more than one artist with the same name, including the German Black/Thrash band: 1) Poison is a Glam Metal band from Los Angeles. 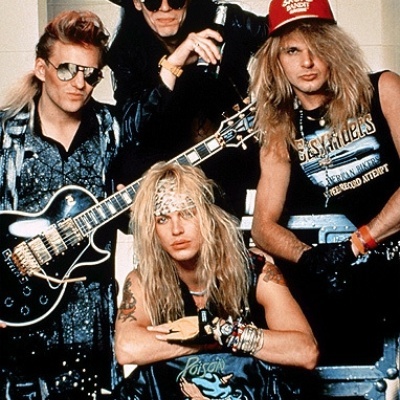 Formed by drummer Rikki Rockett and singer Bret Michaels, they started out in Pennsylvania in the early 80s. Their first band together was called the Spectres. They left the Spectres and started Paris with bassist Bobby Dall. They then moved to Los Angeles, where they parted ways with guitarist Matt Smith. Many people tried out for Poison's vacant lead guitar spot, including soon-to-be Guns N' Roses lead axeman Slash.